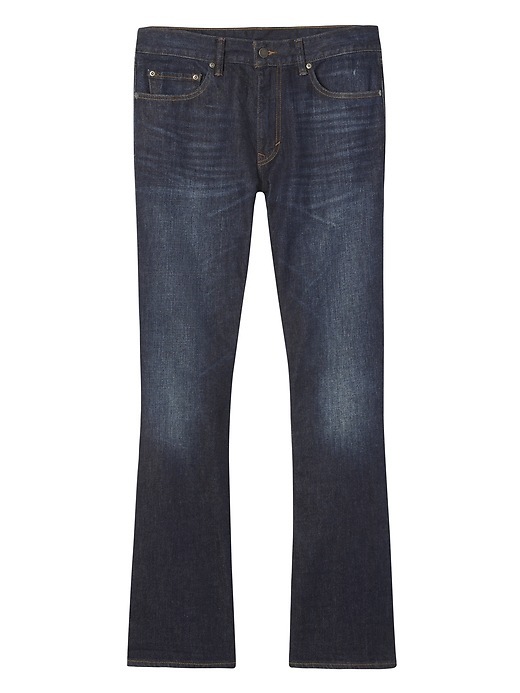 Our day-in-day-out denim with a touch of stretch that moves with you. Traditional five-pocket styling. Zip fly closure. Boot cut. Sits low at the waist, straight through the thigh, relaxed leg opening.